Here I go again, playing with Photo Play Autumn Day. I can't help it! 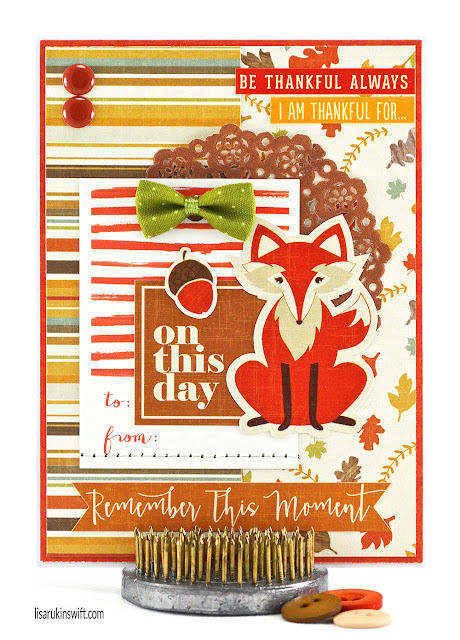 It's perfect for fall and Thanksgiving projects, plus I couldn't resist the fox sticker. Loveeeeeee this! LOVING the fox!!!!!!!!!!!!!!!!!!!! What a colorful, fun card. Love that fox!!! 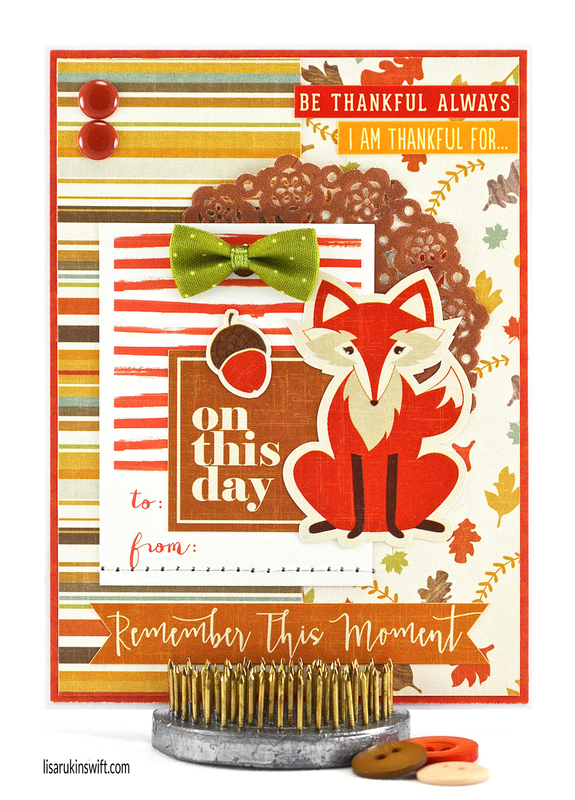 Loving all of the layers, Lisa, and the fox and the green bow are too cute! So cute, love that sweet fox! So sweet, Lisa. It's all perfectly layered and arranged. And did I say cute? It's is super cute!